I feel like it's the perfect time to have an update on my New Year Goals. I really like seeing how I'm doing with them as I want to succeed at some of them. I think I am doing well at trying to get more Cruelty Free makeup, I have started looking into different brands and checking before I purchase something if it is cruelty free. I haven't bought much this year due to me trying to save up for Barcelona (nearly a month away), it will be hard in Barcelona to find out if brands are cruelty free. I need to make a list of makeup I want to get there as I know there are a few brands like Kiko and Milani that aren't in Ireland and also hopefully I get to go to Sephora (I'm getting too excited over this!). Since I'm not seventeen (yet), I can't get a learners permit. I did get to do a bit of driving when I did a Drivers Ed day at school (click HERE), I really enjoyed it even though I wasn't the best at it. The only thing is I've been told by my parents that if the insurance is too high, I won't be able to drive. In Ireland it is mandatory to have car insurance. Since I have started doing a play with me being one of the youngest (click HERE), I have really got the urge to start driving as once as rehearsals are finished everyone leaves and I have to wait for a lift. I was supposed to do my first grading in January but unfortunately I injured my leg doing PE in school *rolls eyes*. I hope to do grading in May but I don't know will I have enough classes done as I had been sick for 10 days this month and I'll be missing more classes as of my play and going to Barcelona. I hope I'll be able to do it, fingers crossed! So far, so good with this one. I have €30 saved already! I hope that it'll keep going as easy as it has been going but I highly doubt that as I haven't been shopping as much. I'll just have to wait and see how everything pans out. I'm kinda more negative thinking than positive and I am trying to change that. So far, I am doing ok, I'm trying not to talk about people behind their back. I have noticed that I am doing it less which is a good thing by all means. I have started writing my second play as my first play has just been preformed, Of course, it's not all my work, I co-write it with my drama teacher. I write it and she edits it and changes it so it'll suit being on stage. The one I am writing at the moment is about a school reunion, I'm not going to say any more about that as it's a secret. I am just over 7,000 pageviews *surprised face*, I think I'll be definitely over the 10,000 mark up the end of the year, I wouldn't be able to believe that but still, it will happen! And I'll be over the moon when it does. I have a YouTube channel (sneaky promo there! ), it is music and I put up covers of songs and I hope to put up more original songs too. So far, I have 2 videos up and another one is going up in the next few days. I find it difficult to get a video up every month but I am making time for it. I have become more active on Snapchat definitely, I love Snapchat as I can put up snip it's of my life. I've become more active on Twitter as I have started sharing my random thoughts on things. Pinterest and Tumblr I don't go on that often, I don't know why either, I think I just prefer Snapchat and Twitter. I have improved with restricting myself going onto my emails but Facebook is a different story. Once as I go on it I am down a rabbit hole and then I eventually come to my senses and realise I have wasted 20 minutes just scrolling on Facebook. 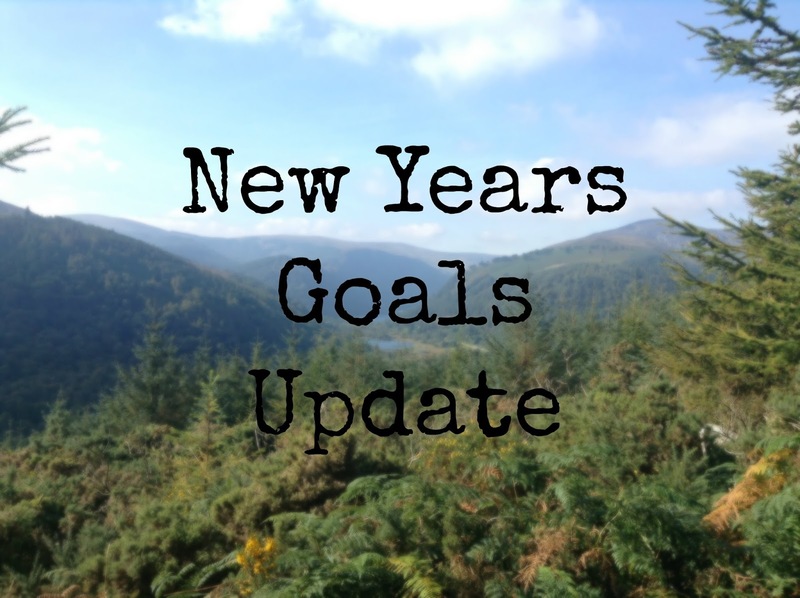 How are your New Years Goals working out? Thank you Frances, I loved collabing with you too! Thanks Guilianna! We should definitely collab over the Summer, that would be awesome.